By nature, I'm not a very open, vulnerable person. For most of my life, I've been pretty guarded. It's something I've always had to fight with internally...to be more open, to speak my truth, to let my true spirit shine. When you start your own business, you share a piece of your soul with the world. It can be scary, and it can be challenging. I'm working on being more vulnerable, on sharing more of me with you. Recently, I met an amazing local photographer, Aline Forastieri, through a mutual friend. Aline took interest in Buona Sara, and we met for coffee to share stories and backgrounds as 2 women entrepreneurs in Austin. As I started rambling on about me, my story, and how I got involved in herbalism, to my surprise, Aline was super engaged! I don't tend to share things openly because I don't want to bore people or take up their time and I tend to think, "who am I to talk like an expert? ", but Aline really challenged this thinking for me. She told me I should be telling my story more, "people love this stuff." She offered to come over and take some photos of me "in my element" at my home and in my yard. I was super uncomfortable during the shoot, but as time passed, I began to open up more. I got the photos back from Aline and they're truly wonderful. I feel so honored to have been the subject of Aline's amazing talent. Why do I tell you all of this? Well one, I want to challenge myself to be more open, to tell my story more, especially as we go into the new year. And two, I want to encourage you to do the same. You are wonderful. You are amazing. You are deserving. People want to hear you. I need these reminders for myself, so if you need them too, I want to give them to you. 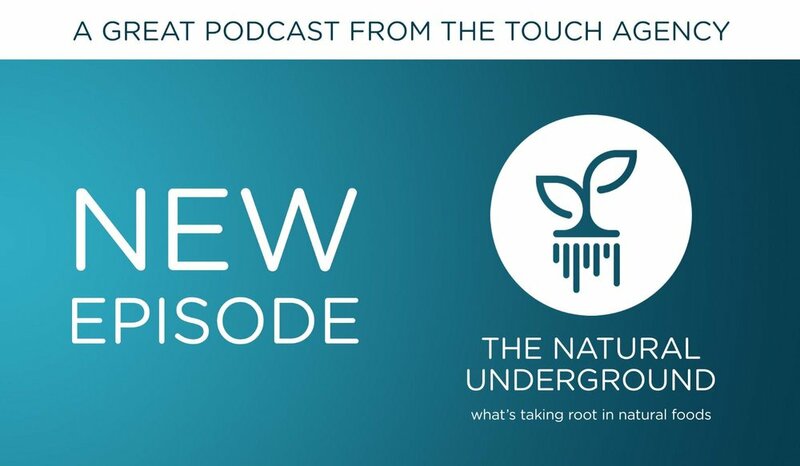 I had the privilege to be a guest on The Natural Underground podcast and had the best time! I would be honored if you took the time to listen. 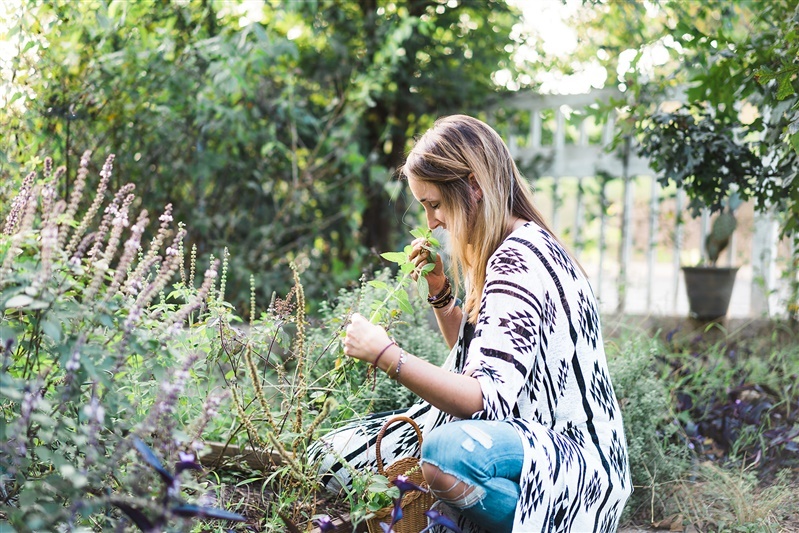 to an East Austin, Texas Garden to Learn About the Benefits of Herbalism! It's a blazing hot day in Texas, but that doesn't stop The Natural Underground from telling a good story. On this episode, I meet with Sara Steinbeck, an herbalist living on the east side of Austin, Texas. This part of Austin is notorious for cottage style houses, foodie restaurants and live music. There is not a lot of open land here, but that doesn't stop Sara's blossoming garden from growing vibrantly. Sara owns a company called Buona Sara, and she specializes in making high-quality herbal remedies in small batches. In a world of "quick fixes" and readily available pills, it seems important to explore the other side of the medicinal world through herbal and natural remedies. In full transparency, I didn't truly know a lot, if anything, about herbalism. While researching for the episode though, the thought occurred to me: in a world that has fully accepted the importance of food for our overall health, appearance, mood, and sleep, why doesn't this seem to apply to herbs? The first part of this episode may sound familiar. We start with a short in-studio interview. I want to understand Sara's background, and what led her to finding herbalism. I also want to understand some herbalism basics, as well as different delivery mechanisms for ingesting the benefits of herbs. Then, we do something very different. Armed with my portable microphone, I take a tour of Sara's garden, and later, her kitchen. She shows me where her herbs grow, educates me about how to recognize different helpful plants, and shows me what goes in to making her tinctures and tonics. Sara is laid back, intelligent, and extra groovy. She makes this episode 10/10. Directions: combine all ingredients and let them steep overnight. *I make this in a large batch and drink over a few days. 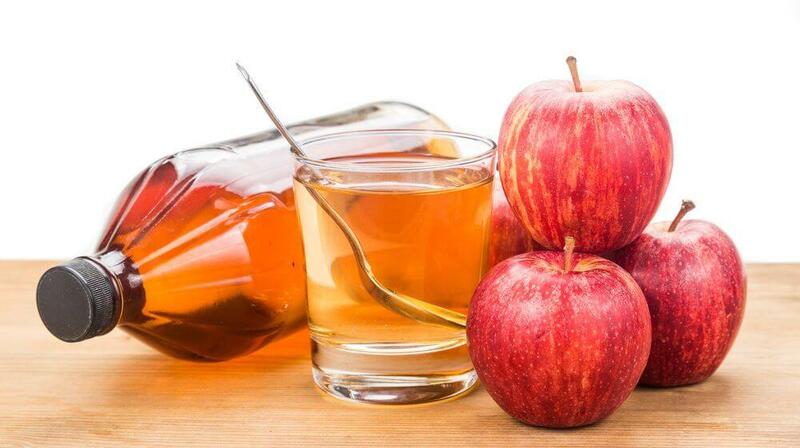 In the previous blog post, we talk about some of the benefits of apple cider vinegar. It helps us breakdown food for digestion, nourishes beneficial bacteria, and prevents overgrowth of bad bacteria. You want to make sure your apple cider vinegar contains “the mother” which is what gives it that murky appearance. 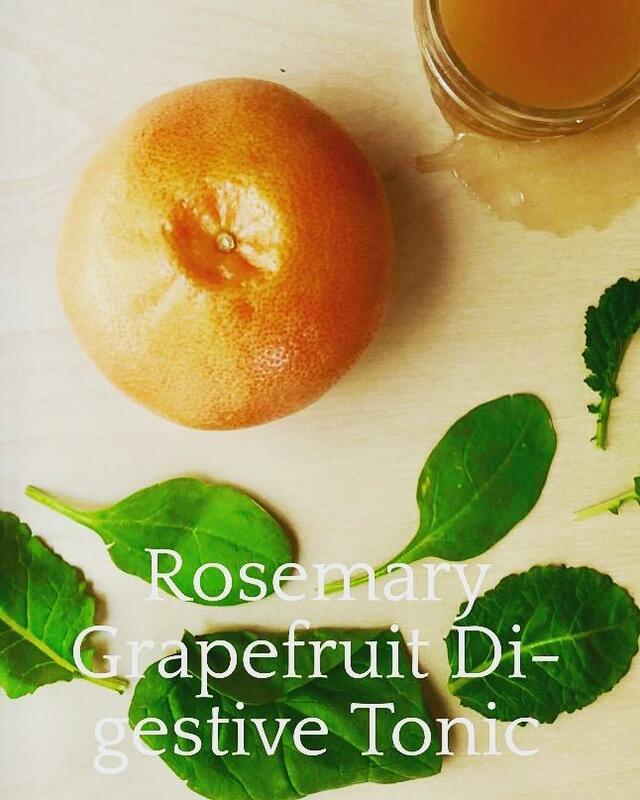 The mother consists of raw enzymes and gut-friendly enzymes that promote healing. The spinach leaves and grapefruit peel are your bitter additions. 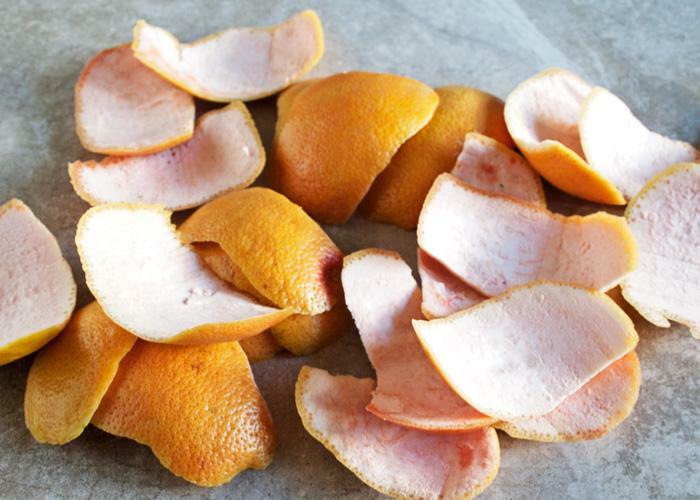 Most people think of grapefruits as being sour (which they are), but have you ever taken a nibble of the peel? It’s bitter! The spinach and grapefruit peel act on the mucous membranes of the mouth and stomach to increase appetite and promote digestion. In addition to aiding with digestion, bitter herbs and foods also help decrease inflammation, fight infection, and promote liver function. 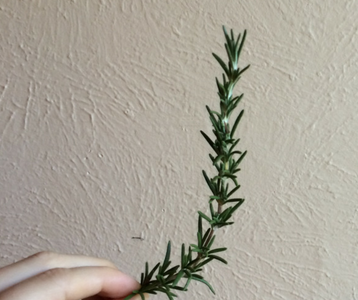 The rosemary sprig is our aromatic addition to the drink. Aromatic herbs are dispersive, which means they spread out through our system, warm things up and get things moving. They help to normalize our gut function. Aromatic herbs also are wonderful for clearing toxins and moving stuck residue. The fresh ginger is our spicy addition to the drink. Like aromatic herbs, spicy herbs are also wonderful for dispersing nutrients and clearing toxins. Thus, the rosemary and ginger work hand in hand to really get things moving. In addition to this, the ginger is also carminative, which is key in relieving flatulence and bloating. Ginger is also antimicrobial, fighting viruses, bacteria, and parasites. Why let it steep overnight? Not only will the steeping draw the flavors out of the herbs and fruit, but it’s also drawing out the healing nutrients. And you’re left with a delicious, refreshing, and HEALING beverage to sip on before meals. 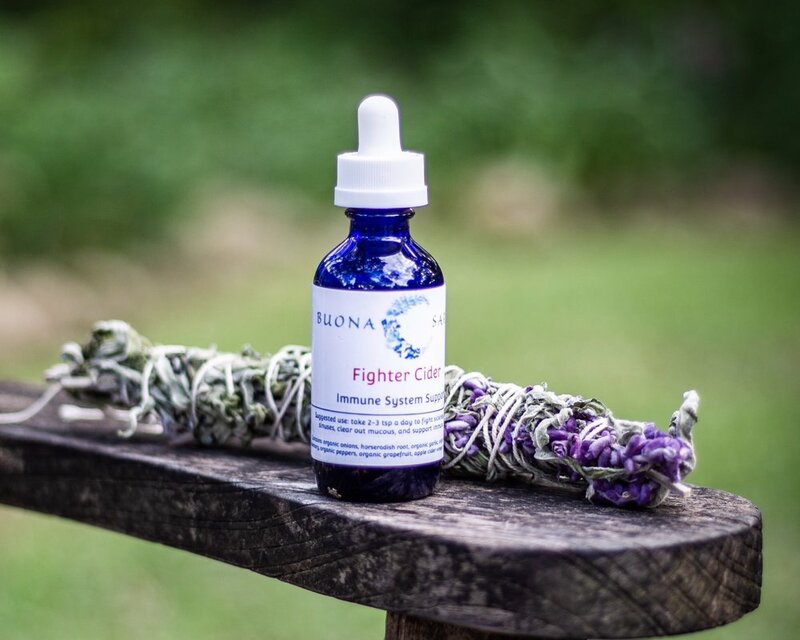 Take a drop of bitter herbal tincture before eating. We have wonderful, local plants that are super bitter. I make mesquite, dandelion, and agarita tinctures that are wildly harvested here in Austin, TX. Take a drop of fire cider before eating. I make my fire cider with apple cider vinegar (with the mother), garlic, onions, horseradish root, ginger, rosemary, grapefruit, cayenne, and other peppers. If you’re into tea, a good gut health tea is marshmallow root, ginger, rose, and plantain. Of course, you can eat more bitter foods! Bitter greens are healthy and beneficial. You can also cook with more herbs and spices. This is an easy way to get more nutrients in our diets. Did you also know that papaya is great for digestion? It contains an enzyme called papain, which is very similar to the enzyme pepsin. Pepsin is what the gastric juices of the stomach produces and helps digest the proteins we consume. Improper protein breakdown in the system often leads to allergies. Papaya is effective in relieving allergies by its ability to denaturize proteins.